Before going to the recipe, let us understand the difference between spaghetti and noodles( for the people who are new to western cuisine ).Spaghetti is one of the well-liked foods among Americans, although it has Italian origin. Some say that Spaghetti was originated in Chinese and traders may have brought in it to west. But Noodles were definitely originated in China. Spaghetti is made of wheat flour and noodles can be made from variety of flours such as rice flour, corn starch etc.,The cooking style is also different for both of them. Now let's see the Vegetable Noodle recipe. Take a pan and fill 1/2 a volume of it with water and bring them to boil, add little vegetable oil and very little salt and cook noodles. Turn off the stove when the noodles are done cooking, and transfer the noodles to the bowl containing Cold water and keep them aside. Now take a skillet and heat 2 ts of vegetable oil, add all vegetables except peppers and tomato at a time and close the lid. Saute them in regular intervals under medium flame. Mean while Prepare grind Tomato and Green chili. when the vegetables are done cooking add tomato + chili paste, salt , pepper powder and cook until raw flavor of tomato goes away. Now add boiled noodles and toss the noodles, so that all the curry distributes evenly on noodles. Finally add cilantro and turn off the stove, sprinkle some cheese on top and serve hot with tomato sauce/ lemon juice. 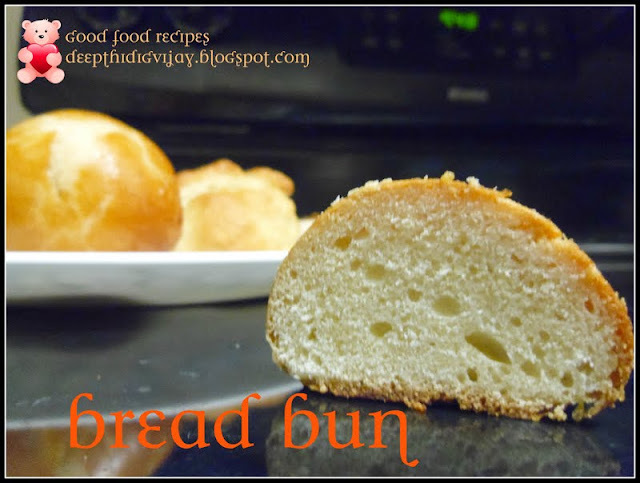 Hope you like my recipe.Please leave your valuable comments after you try. lovely presentation of noodles..feel like having the platter,yum yum..
Noodles looks so delicious. I can have noodles everyday. Esp the indo chinese noodles. Yours looks delicious. Great-looking dish! I love stir fried noodles :). Interesting way to prepare spaghetti. It seems that it is usually served with a tomato sauce...but I think I'd like the vegetable version more. Yum! Nice and very interesting recipe !! 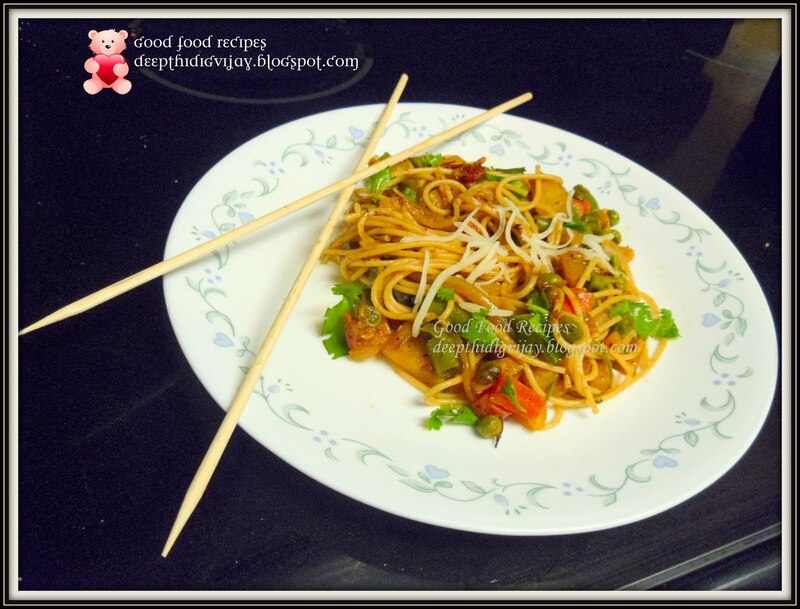 Perfect and tempting noodles.. looks yummy !! My son loves noodles .. looks yummy. Clicks looks so yummy dear. Glad to follow you. Do check out this link. hmnn i love noodles! this is great! all veggies! I can have noodles any time any day, so love this recipe. nice recipe for the good looking noodles- yum ! I love the pretty colors in this healthy meal! Delicious Noodles,You prepared it in a healthy way...Luks so tempting.